You are here: Home / Free Samples | Freebies | Free Stuff / Photos / Walgreens Photo Coupon! 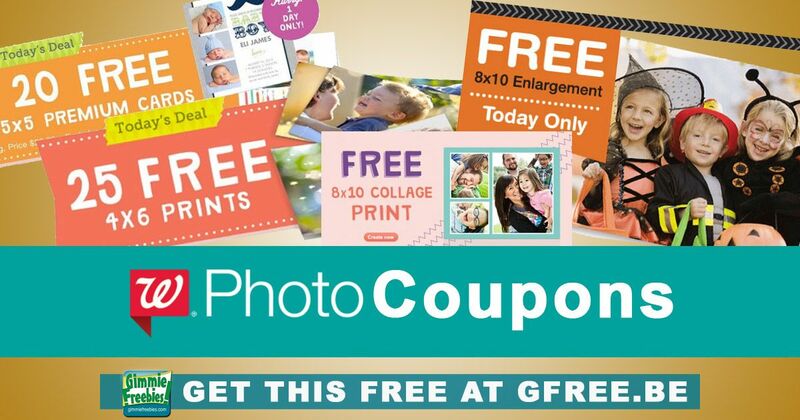 Free 8×10 Enlargement! Every so often Walgreens photo coupon codes are available to enjoy savings and even freebies on photo gifts and prints. Because pictures make wonderful gifts, we like to find them on the cheap. You can even make it a handmade gift by making a customized photo frame with items from the dollar store. Or, just give the gift of a photo enlargement. You don’t even have to admit it was free! When available, the Walgreens photo print coupon will only be active for a few days. We always try to include the expiration date whenever possible, so be sure to read the current post thoroughly to get all the info you’ll need to place your order. If you want, you can use the Walgreens.com website or their free app. Selecting the product, and then upload the photograph you want to use. When you’re making your photo print, be sure to pay close attention to the suggestions. The system will tell you if a picture is low quality (low resolution, or not enough dots per inch aka DPI). It’s better to use another picture so it doesn’t print blurry or pixilated. Lastly, look at how the picture is cropped on the screen. Be sure nothing important is getting cut off. Like it? Then add it to your cart and check out using the Walgreens photo coupon codes you found on GimmieFreebies.com. Where can I find Walgreens Photo Coupons? To find the most recent and hopefully currently active Walgreens photo coupons, simply search GimmieFreebies.com, your source for the best new free stuff online. There are also free Walgreens photo coupon codes available on this photo coupon page as well as this photo print coupon page.